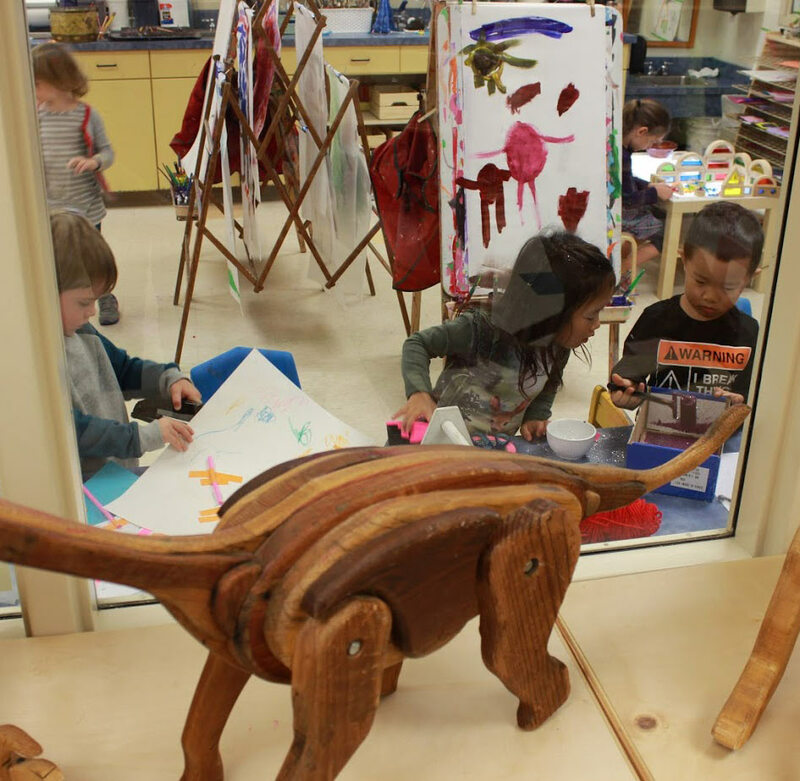 One only needs to step into Preucil Preschool to see the influence of the Reggio schools. We nurture these principles every day in our classrooms, art studio, and music rooms. As teachers, we continue on our own learning journey and each of us speaks in one hundred languages as well. For I believe that the one hundred languages are always with us, if we are just willing to pull them out and explore them. So together, teachers and children at Preucil speak one hundred languages, maybe more. Emergent Curriculum and Project Work: Curriculum emerges based on the teachers’ observations of children’s interests, curiosities, and understanding of the world. Through questioning and observing, teachers gain insight into children’s ideas and thinking processes. Based on observations, chance events, or teacher and child interest, projects emerge. Documentation: Giving value to children’s work and ideas, teachers document learning. Children’s hypothesis, theories, and thought processes are recorded and documented along with photos and work samples. This documentation is used by teachers to determine the direction of projects as well as to help others understand the children’s experiences. ~Loris Malaguzzi, founder of the Reggio schools.